I’ve long associated Violin Memory with providing kit for high frequency trading firms or being the underlying platform for monster-sized systems serving a flood of transactions. Just look at all the marketecture – it’s all about insane performance for demanding workloads with examples such as hungry Oracle databases and solving poorly written software with blazing fast hardware. Certainly nothing you’d use to do a holistic deployment for a virtualized environment, right? And with the lack of rich data services, I’d say that the enterprise market wasn’t all that interested in buying a race car that could do Mach 7 in a straight line. In an interesting twist, the folks at Violin have announced a full stack of new shinies: the Flash Storage Platform (FSP) 7300 (already shipping) and 7700 (shipping soon), Concerto OS 7, and Symphony 3. There’s an intent to replace primary storage for enterprise customers. Assuaging concerns over spotty data services coverage, the Concerto version 7 release has gone gangbusters with most all of the standard check boxes you’d expect from primary storage. I sat down with Erik Ottem, Director of Product Marketing, to get a brief on the full details. Here are two additional takeaways from the announcement that struck me as unique and interesting. A major annoyance with primary storage is having to purchase so darn much of it on day one, and then slowly growing into it. Assets that aren’t being used are depreciating regardless. 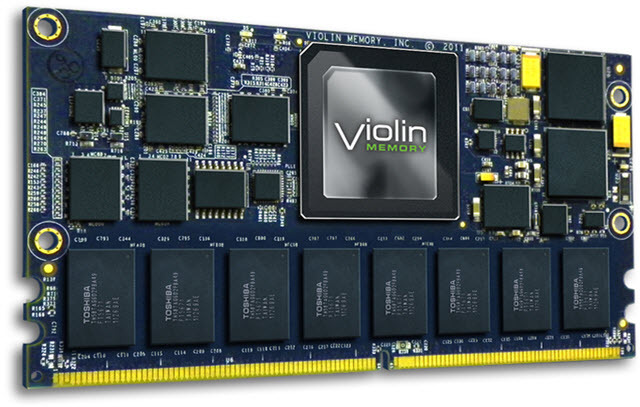 Violin has offered to stock their 7300E or 7300 FSP models with a full compliment of VIMMs (Violin Intelligent Memory Modules) and control the capacity via software licensing. The 3U sized 7300E can start at 11 TB of raw capacity, and grow to 17.6 TB, 26.4 TB, or the max size of 35 TB raw with 32 total VIMMs. The 7300 series (also 3U) can start at 52.8 TB and step up to 70 TB of raw capacity using 64 VIMMs. The PAYG model is non-invasive; a new license key unlocks capacity and it becomes available for use. This avoids any need to get a maintenance window and add more hardware to the box in the future, which is nice for admins. It also avoids the need to pay for an asset that isn’t doing anything, which is nice for CIOs. Assuming that it really is non-invasive – I’ve never actually seen this feature in use – I’d have to say that I like the idea. The 7700 FSP can get even larger through 6 expansion shelves, plateauing at 1.3 PB of effective capacity (not sure on the raw value) in 24 RU. Violin shared that there will be an upgrade path for the 6000 AFA into a 7700 FSP. It’s neat to see a company put forth so much effort to improve their array OS, management OS, and product line in one announcement. Concerto 7 and the Flash Storage Platform arrays don’t seem like small, incremental updates – these are big chunks of effort. I’ll admit that I am interested in seeing a 7300 or 7700 in action to really test the idea of having fully mixed, highly demanding workloads all sharing an environment without a detrimental noisy neighbor implosion. 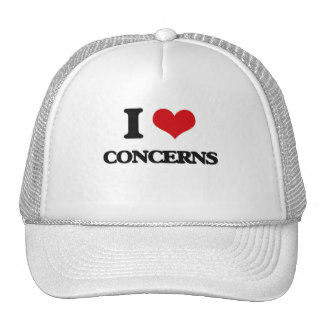 Allow me to put on my Hat of Concern +1 for a few moments (can I borrow your 20 sided die?). Does the market really have enough room for another block based storage array to try and muscle its way into the virtualization space? There’s already a myriad of all flash arrays for customers to choose from – this will be a tough pitch from a marketing, channel, and sales perspective. I’d like to see a lot more reference material on Violin with vSphere and virtual data center design; most of what I could find was either aimed at physical workloads or irrelevant architecture on Oracle VM (which is a very weak-sauce hypervisor). It’s one thing to slowly creep up a flash array serving specific LUNs for an app, and quite another to insert that same array into the datastores for hundreds (or thousands) of virtual machines.